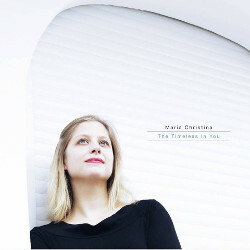 Vocalist and composer Maria Christina’s debut album is The Timeless In You (Cracked AnEgg Records, 2013). In this interview, Maria Christina talks about taking risks; the Berlin jazz scene; allowing space in her writing for improvisation; and her time studying with Theo Bleckmann in New York. Learn more at maria-christina.com. You can support The Jazz Session by purchasing this album in the TJS Store.